Iranian news agencies reported Monday that an explosion in a factory in the central province of Yazd claimed seven lives and injured 12 others Sunday evening. It appears the factory was privately-owned. There have been no reports suggesting it had any connection to nuclear facilities. Two blasts in military and nuclear facilities in Iran were reported last month. According to Iranian reports, the blast occurred at the Ghadir-e Yazd Steel factory at 19:15 local time. The local governor said some of the foreign nationals residing in Yazd province were among those killed in the explosion. Iran's state TV reported that a local firefighter said that five of the victims died on the spot and two died of their wounds in a hospital. The website said that the explosion was caused by water in the iron furnace. Meanwhile, the head of Iran's parliamentary national security committee said Monday that Iran will reverse-engineer the US drone it has in its possession, and is in the "final stages" of unlocking the aircraft's software secrets. "Our next action will be to reverse-engineer the aircraft," Parviz Sorouri said, according to the website of Iranian state television. "In the near future, we will be able to mass produce it ... Iranian engineers will soon build an aircraft superior to the American (drone) using reverse engineering," he was quoted as saying. 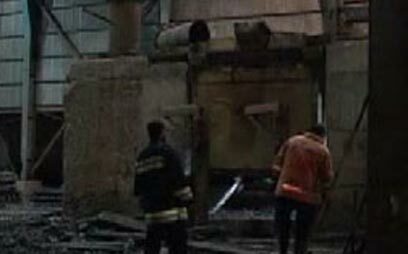 See all talkbacks "Iran: 7 killed in steel factory blast "